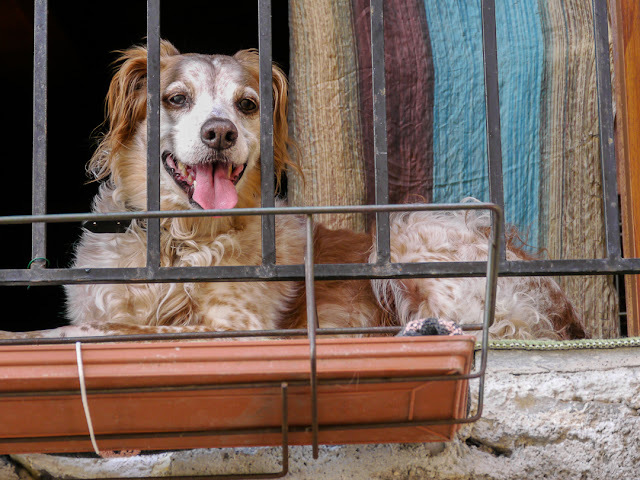 A Brittany spaniel relaxing on his balcony in Castellar - an ancient village above Menton. Happy to have a view, no doubt! They have such pretty colouring!